These chinese hand fans are perfect for celebrations, theme parties or occasions and it will definitely get you lots of praise and admiration with their uniqueness. 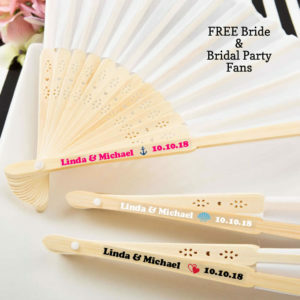 Wedding fan favors in a variety of colors and themes. Fan favors are great for a beach or summer wedding or shower. 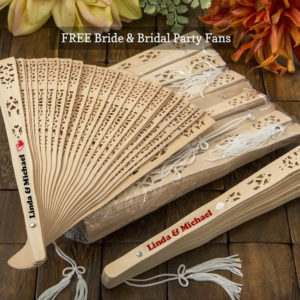 Add a breath of fresh air and color to your wedding ceremony and reception with wedding hand fans in a great number of styles and colors. Our hand held fan will help to keep your guests cool! Our hand held fan will allow your guests to cool off on those long, warm days during your spring or summer wedding ceremony! If you’re having an outdoor wedding reception during the hot weather, consider handing out wedding fan favors. Your guests will love cooling themselves with the refreshing breeze created from our hand fans. Japanese fan favors are perfect for an outdoor wedding when the weather is expected to be warm and sunny. Our folding fan is also a popular in Japanese and Asian theme weddings. We have several different hand fan favors to compliment your party’s theme. 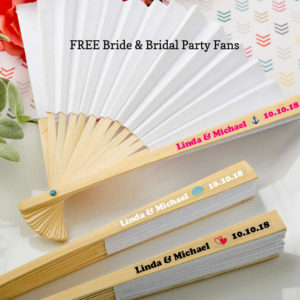 Contact us if you need help with ordering our wedding program fans, cheap wedding fans, chinese hand fan.